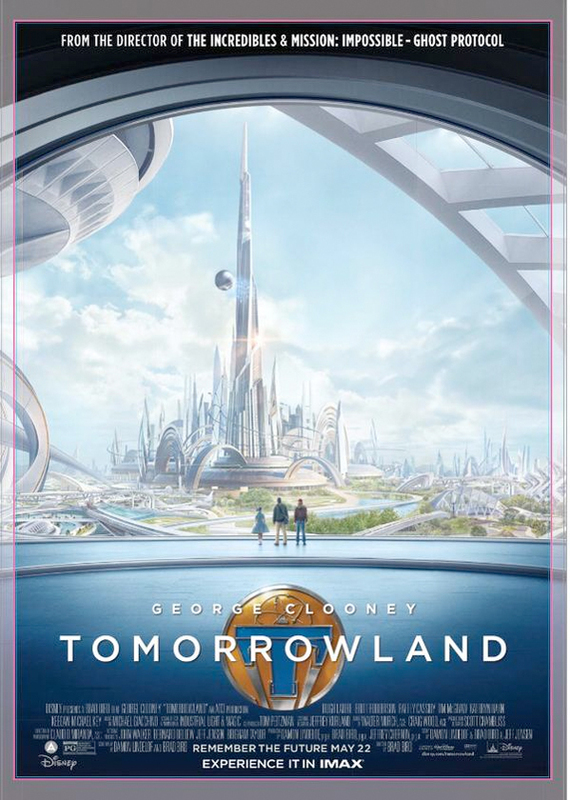 We're just about a month away from the release of Disney's original sci-fi adventure Tomorrowland from The Incredibles director Brad Bird, and the hype train is now running at full steam. If you happen to be checking out Disneyland or DisneyWorld sometime before the film hits theaters, you'll be able to check out an exclusive sneak peek of the movie to tickle your fancy. And along with that, Bird has also revealed the IMAX poster for the film, showing off a grand shot of the title city of the future. Also, a new iinternational poster has surfaced finally giving Britt Robertson the spotlight, albeit with George Clooney. Look now! 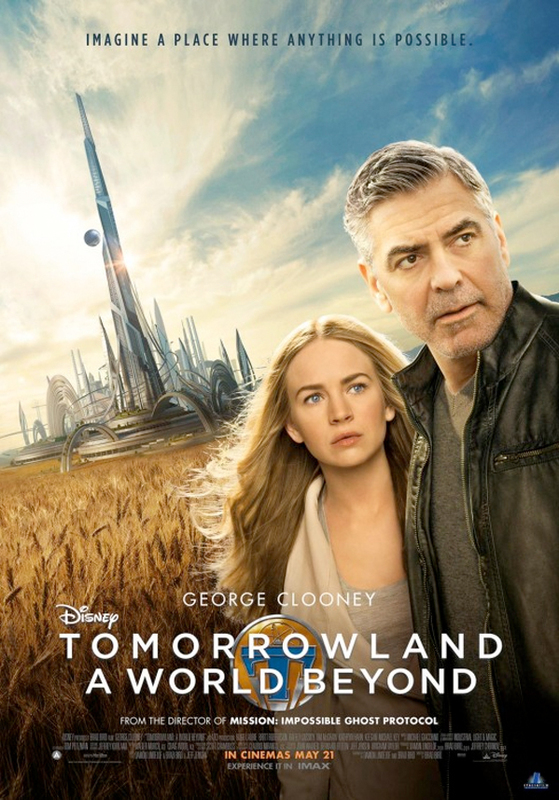 Wow is "Tomorrowland A World Beyond" the official international title? Sorrrrta crappy. I don't know why but this movie doesn't for it for me, and that's strange because bird can tell stories! I think to many big movies this year, and I must pick a few. Dig that pink outline around the first one. Classy! Britt Robertson does not get the "spotlight" when George Clooney's name is thrown on top of her. Especially, with marketing purposes I would think the studio would want to have Britt everywhere on this film to really shine the "young adult" theme they're clearly trying to sell. Rather than throwing Clooney's name on it... Oh well. Good posters though.